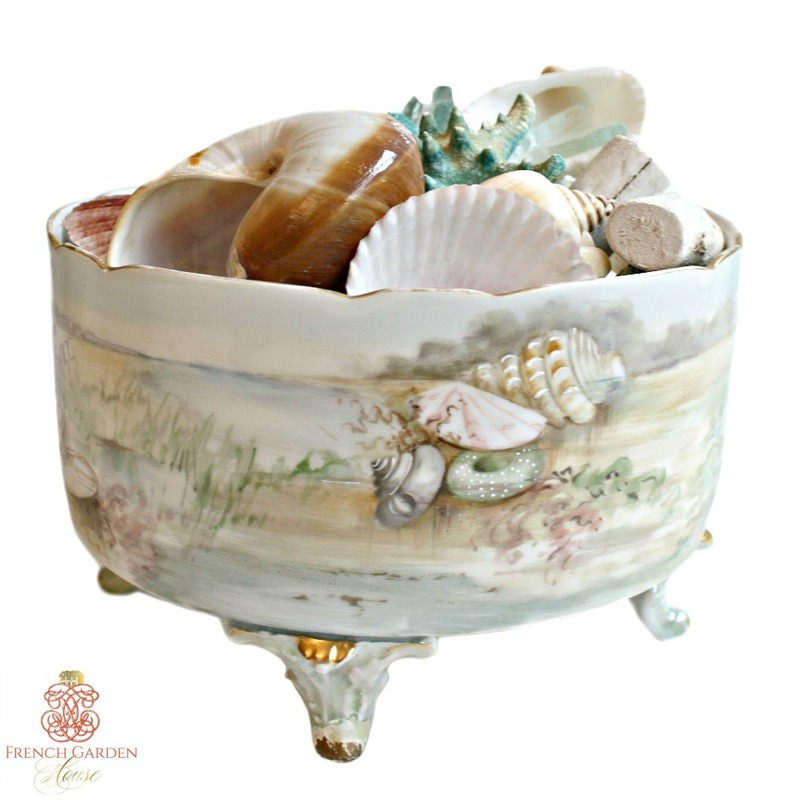 Exceptional rare 19th Century French Limoges Ferner Jardiniere, with exquisite hand painted and hand enameled seaside scenes all around. Made by Delinieres et Co., the collectable round footed cachepot is rare in mold as well as painted with the greatest skill. 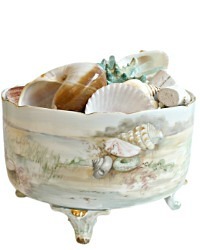 Features a beautiful seaside scene, shells on the beach, with a salt marsh and ocean in the background. Painted all around, the ferner sits on Louis XV style feet. It dates to 1894. 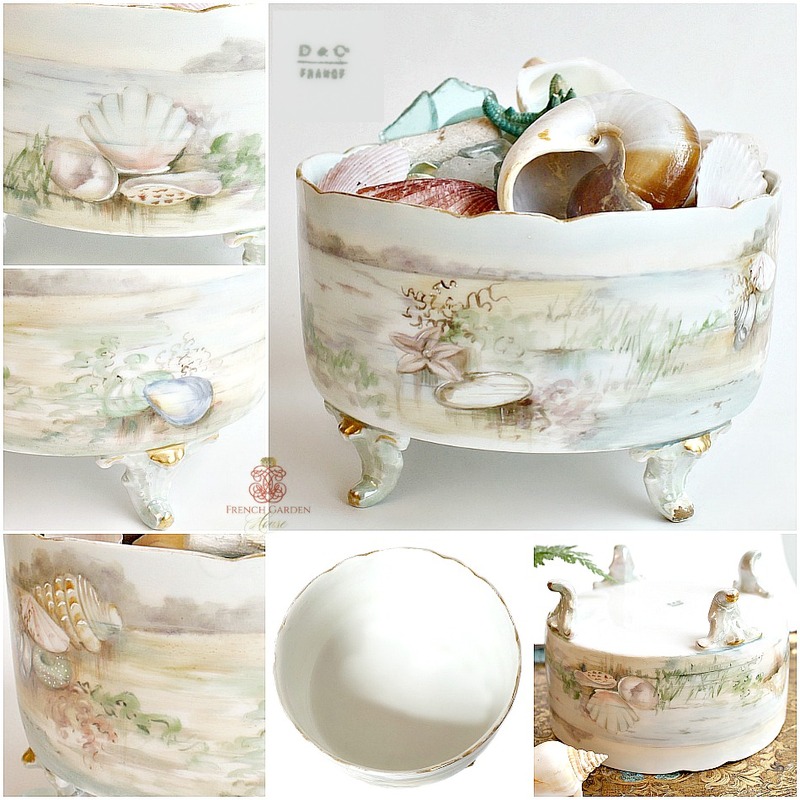 An amazing addition to your collecton of hand painted Limoges, to display with the intended fern, or perhaps to fill with sea shells for a decorative display on your hall table, your dining room hutch, or anywhere else you wish to add the allure of the ocean. 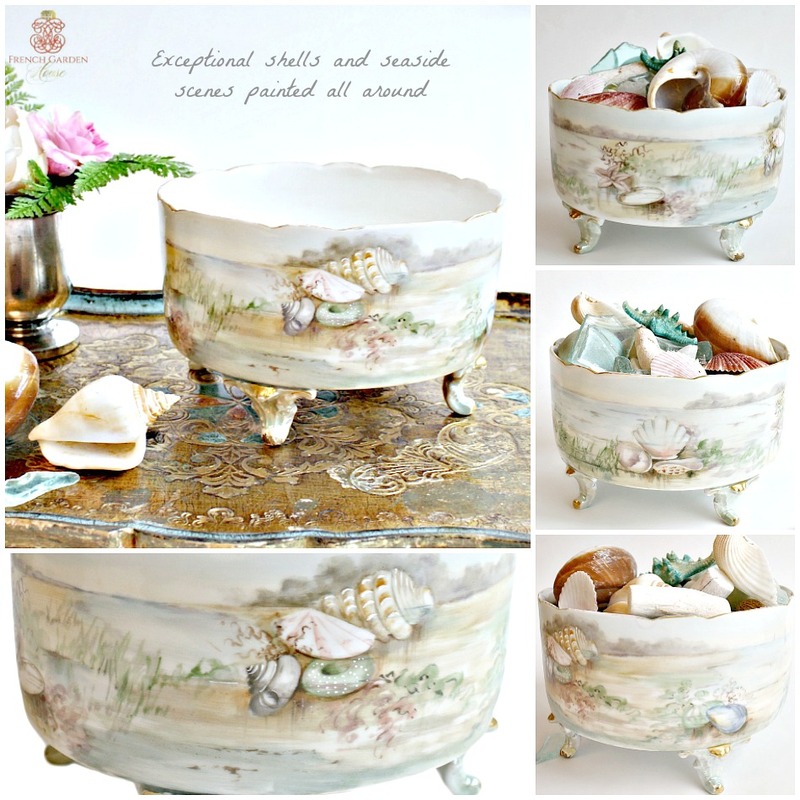 Rare to find with the ocean theme, these are much more available in floral themes, what a gorgeous addition to your sublime ocean and fish themed antique French porcelains.